“A woman is at least five times as likely to die from heart disease than from breast cancer. As a married mother of three children, I know how important a woman’s health is—not only to herself, but to the ones she loves.” – Ainat Beniaminovitz – M.D., F.A.C.C. Ainat Beniaminovitz, MD is a board certified cardiologist, with a special focus on women’s cardiovascular health. After earning a bachelor’s degree in biochemistry from Columbia University in 1986, she went on to complete her medical school training, residency, and fellowship at Columbia Presbyterian Medical Center, where she served as a chief medical resident and a chief cardiology fellow. Upon completing her fellowship, she joined the staff at Columbia Presbyterian as a full-time cardiologist, focusing primarily on heart failure and cardiac transplantation. During this time, she published extensively on heart disease issues and presented her work to the American Heart Association, the American College of Cardiology, and the International Society for Heart and Lung Transplantation. She also co-authored several articles that appeared in medical compilations and publications including American Journal of Cardiology, New England Journal of Medicine, and Circulation (a publication of the American Heart Association). In 2000, Dr. Beniaminovitz joined the practice as a clinical cardiologist with a particular interest in heart failure and women’s health. As a mother of three children, she understands how important a woman’s health is, to herself as well as to her family. 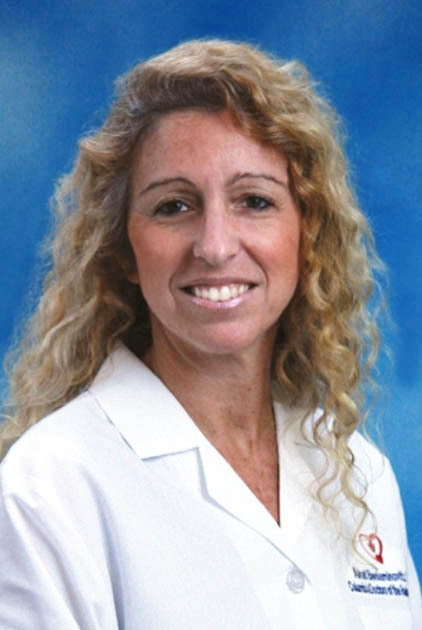 With her strong diagnostic skills, extensive clinical experience, and familiarity with the latest cardiac techniques, Dr. Beniaminovitz is helping to bring state-of-the-art cardiovascular care to the residents of Rockland and Orange counties. She frequently addresses community groups about the importance of preventing heart disease, and how a proper diet, exercise, and lifestyle can contribute to maintaining cardiovascular health. Dr. Beniaminovitz is an Attending Physician at both Columbia Presbyterian Medical Center and at Good Samaritan Hospital in Suffern, NY. In addition, she is an Assistant Professor of Clinical Medicine at Columbia University.